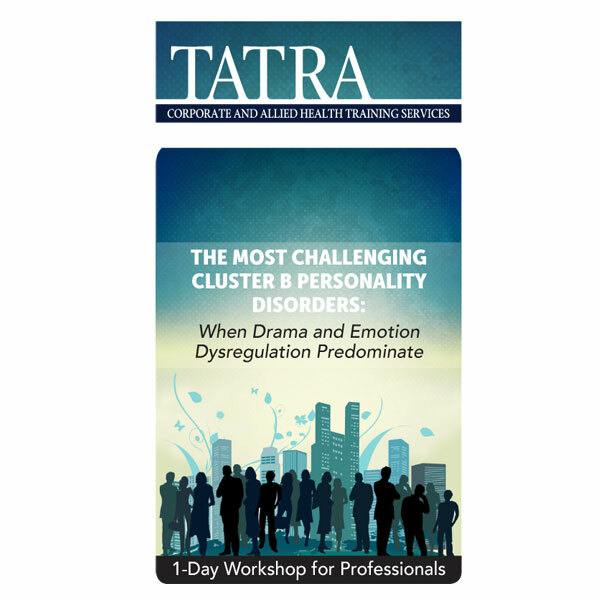 An intensive workshop designed to provide you with the most practical information, knowledge, skills, and abilities to accurately identify and work with the clients who exhibit traits of borderline, narcissistic and antisocial personality disorders. In this seminar recording, expert and author, Sharon Freeman Clevenger (MSN, PMHMSN-BC, CARN-AP) delivers an intensive workshop designed to provide you with the most practical information, knowledge, skills, and abilities to accurately identify and work with the clients who exhibit traits of borderline, narcissistic and antisocial personality disorders. Managing what appears to be manipulative and possibly threatening behaviours. The science based techniques to understand and interrupt automatic thoughts that trigger explosive responses. Goals that are achievable, reasonable and have a high likelihood of success. How the brain of individuals with Cluster B disorders are different. Techniques that improve the function of the emotion regulation system of the brain. Help the individual with a Cluster B disorder manage emotion dysregulation and impulsivity in new ways, and even modify their reactions!